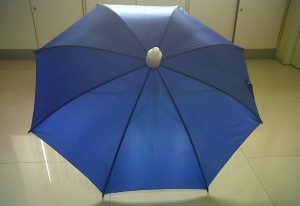 Non drip cover umbrellas are also termed as Kargil Umbrella, Plastic Cap Umbrella, Anti Drip Umbrella. These umbrellas are manufactured from a superior quality of raw material. 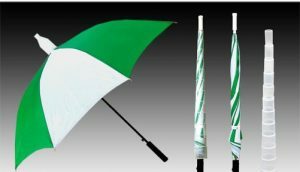 These umbrellas are easy to carry and are available at competitive prices in the market. 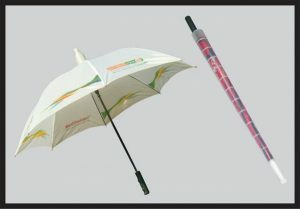 These umbrellas are specially designed to avoid water dripping after the use of umbrella in rains. 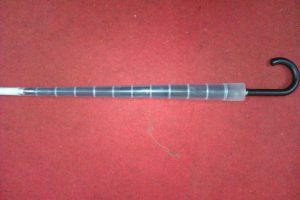 There is an extra attachment on the top of the umbrella, a transparent plastic cone type which slides down & covers the umbrella after closed & use. This helps in avoiding the surrounding getting wet. Size available is 25″ x 8 ribs.